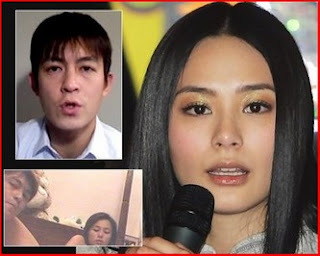 Edison Chen says that he is not dating high school student/model Cammi Tse anymore! Hong Kong actor Edison Chen, 31, released a press statement saying, “I’m not dating Cammi Tse anymore!”. The statement comes amid tabloid headlines that Chen was in a relationship with 17 year-old high school student/model Cammi Tse. In the press release, he said that the contents from recent tabloid headlines were false and that he did not wish to be linked to her. Recent tabloid reports indicated that Edison Chen and Cammi Tse were back together again after an eyewitness saw the model leaving the actor’s home one evening. The tabloids also said that Cammi had an interest to write an autobiography that would expose Edison’s secrets. Many believe that the 17 year-old model is using Edison in order to stir some publicity for her own gain. This is not the first time that the two have been linked. The pair were allegedly in a relationship as recent as last November. Nevertheless, the Hong Kong actor is trying to reverse the public’s negative image of him by responding to these rumors and doing various interviews that focus on his projects, mainly his apparel retail store: Juice. For Edison Chen, that “road to redemption” has a long way to go until his “karma” changes for good and when people forget about what he did back in 2008.